HomehistoryHistorical Reads: Did Marie Antoinette really say “Let them eat cake”? There is even firmer evidence, however, that not only was Marie-Antoinette not the kind of girl to make a comment like “Let them eat cake,” but she actually couldn’t have. Not only was there no opportunity for her to do so, there are also some very interesting pieces of evidence from the time that prove she couldn’t have said it. 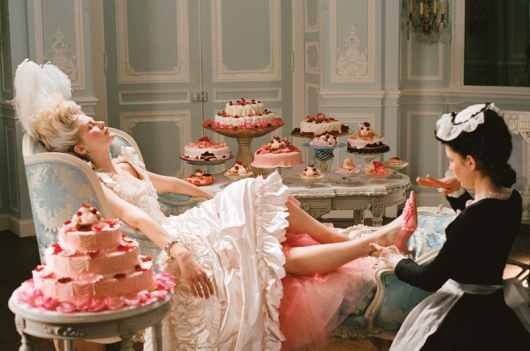 The story of a princess joking “let them eat cake” had actually been told many years before Marie-Antoinette ever arrived in France, as a young princess of fourteen in 1770. Her brother-in-law, the Count of Provence, who hated her, later said that he heard the story as a child, long before his brother ever married Marie-Antoinette. The count claimed that the version he heard was that the woman who made the comment had been his great-great-great grandmother, Maria-Teresa of Spain, who advised peasants to eat pie crust (or brioche) during bread shortages. A French socialite, the Countess of Boigne, said she’d heard that it had been Louis the Sixteenth’s bitter aunt, Princess Victoria, and the great philosopher, Rousseau, wrote that he had heard the “let them eat cake” story about an anonymous great princess. Rousseau wrote this story in 1737 – eighteen years before Marie-Antoinette was even born! If Marie-Antoinette didn’t make the “joke,” then how did it end up being associated with her for 200 years? Some historians think it’s because the story had been going around for years, getting attributed to different royal women, but because Marie-Antoinette was the last Queen of France, it stuck with her. After her, there was nobody else to pin the story to. Others think that because the French Revolution was able to dress itself up as the force that brought freedom and equality to Europe, it had to justify its many acts of violence and terror. Executing Marie-Antoinette at the age of thirty-seven and leaving her two children as shivering, heart-broken orphans in the terrifying Temple prison, suggested that the Revolution was a lot more complicated than its supporters like to claim. However, if Marie-Antoinette is painted as stupid, deluded, out-of-touch, spoiled and selfish, then we’re likely to feel a lot less pity when it comes to studying her death. If that was the republicans’ intention, then they did a very good job. Two hundred years later and the poor woman is still stuck with a terrible reputation, and a catchphrase, that she certainly doesn’t deserve.